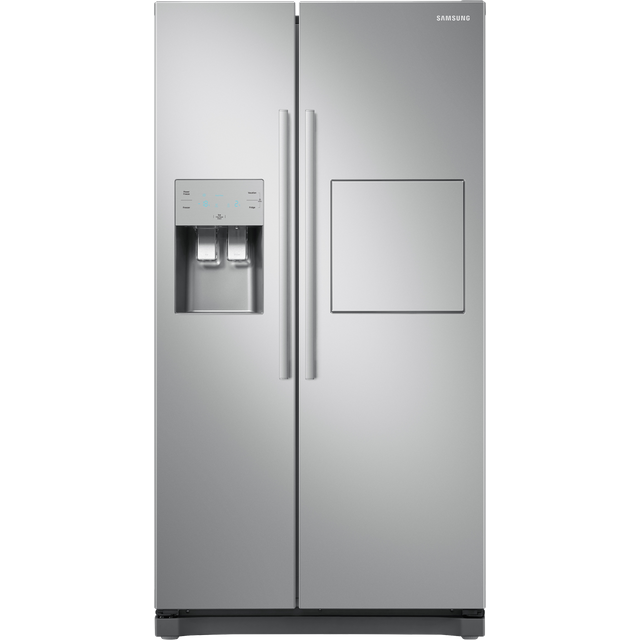 American Fridge Freezers are pretty big appliances so it’s worth double checking that you’ve got enough space in your kitchen and that there’s a clear path for us to get your new appliance from the van into your home. We’ll get your new fridge freezer in place, level the feet and take away all the bulky packaging for you. Your new appliance will need to sit for a few hours before it’s plugged in. This is important as it ensures the gas coolant inside the fridge settles. Unfortunately, our drivers won't be able to fit the handles on your new appliance if they're packed separately. Complete the look of your kitchen with this sleek American fridge freezer from Hisense. Its generous 520 litre capacity can hold up to 28 bags of food shopping, so you’ll have plenty of space to stock up with your favourite treats. Intelligent Total No Frost technology prevents ice from forming on the walls, so you won’t need to manually defrost it yourself. This model also has an estimated annual energy cost of £60.68. 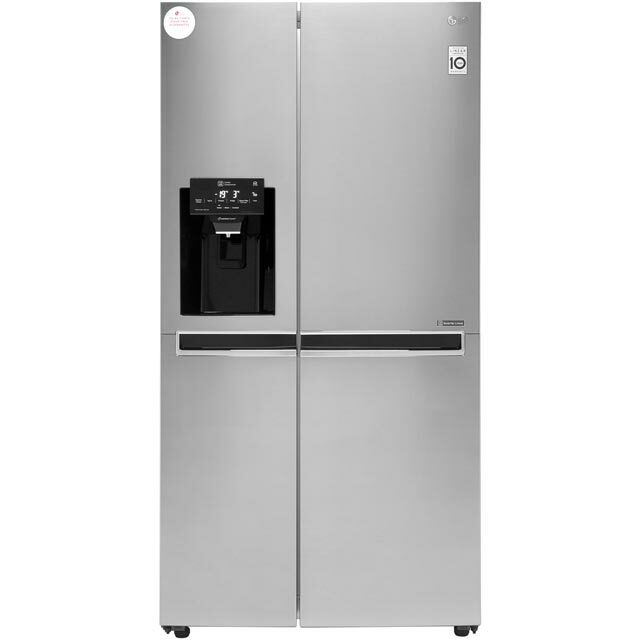 It even has a brilliant water and ice dispenser, so you can always enjoy a refreshingly chilled drink. 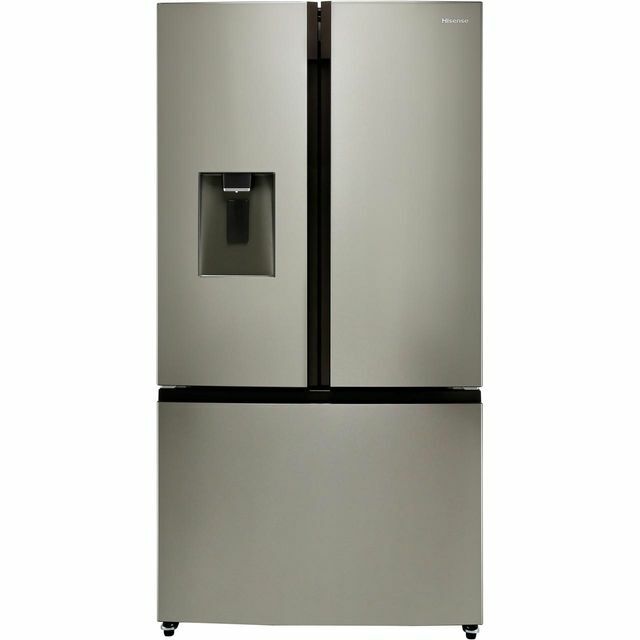 I purchased this fridge freezer to replace my old Samsung which I had for 20 years. Never heard of Hisense as brand so I was a little hesitant but fell in love with it instantly. It looks smart and has plenty of space inside. Love the combination of fridge top and freezer at the bottom so do not have to squat everytime I need to get vegetables from fridge drawer as I have back problems. Water dispenser is good and I love the perfect temperature, not too cold and just right, naturally chilled. Also never run out of ice again as this model provides constant supply of beautifully shaped ice cubes. I had it for a week and so far so good. I certainly recommand it. Really like the look of this fridge inside and out. the freezer is deeper then we thought it was going to be. Really quiet and easy to adjust temperatures. Very happy with it. Its not a bad product, but there are two issues i can see. The first is that there is no drip tray for the water. Not a show stopper, but with two kids the floor gets a bit messy. The other issue is there is a lot of icing in the deep freeze. Not sure what the cause is or how bad it will get. 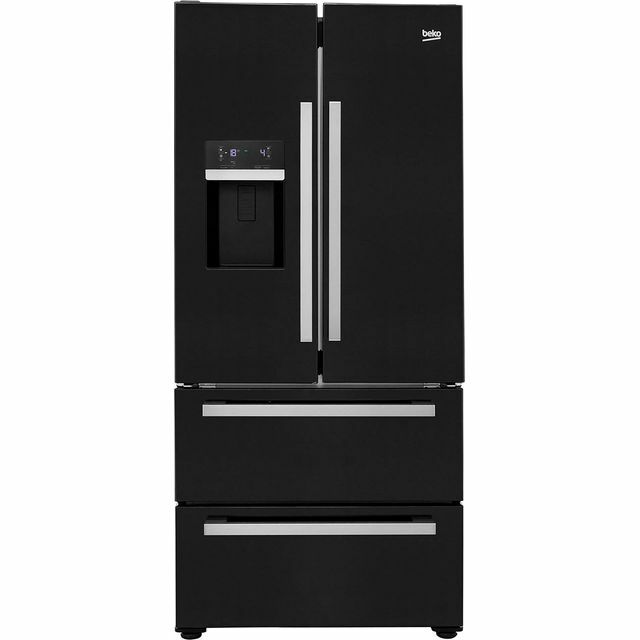 This fridge is great value for money! The layout with double doors to the fridge compartment and freezer underneath works very well. Couldn't be more pleased with it. Great space in the fridge and more space than expected in the freezer. Also prefer how the ice is stored and accessed in drawer of freezer than in the door of my previous freezer. First of all the look of the fridge is spot on, beautifully finished and doesn't look huge in the kitchen like some others I have seen. Installation was easy as it is fitted with roller wheels on the rear so pushes back into position easily. Inside the fridge and freezer is well layed out and loads of shelf and door space. Not had to thoroughly clean yet but there are no silly little nooks and crannies that will prove difficult to reach when it is required. Overall I am extremely happy with the purchase! !